Jami Josephson is a professional dancer, performer, choreographer and a certified dance instructor in Ballroom and Latin dancing with over 100 titles in competition dancing including US Mambo Champion in 1997. Jami has studied Jazz/Ballet/Hip-Hop/Tap/Ballroom/Latin/Country Dancing/Hustle and Acting and is well known for her exceptional dancing and teaching skills, which she obtained from many years of training and studying with the best teachers in the world. Some of Jami’s credits include many TV commercials and appearances and Off-Broadway productions and has choreographed numerous Music Videos. Recently she choreographed "Havana After Dark" a latin show at the Tropicana, and was head choreographer for the “Love Concert” held in Hong Kong. Jami was also the Associate Artistic Coach of “Latin Madness” for LA, UK, and NYC, 2004 and a former member of Descarga Latina in NYC. Jami coaches and teaches all over the world at many salsa congresses and schools along with coaching top salsa teams and runs the Instructors Forum for Salsaweb. 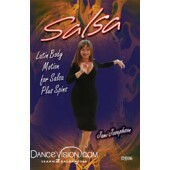 And was recently a Judge for the World Salsa Championships in Las Vegas- Dec. 2005. 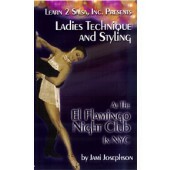 Jami teaches on1 and on2 and Jami's dance products are available in Zone Free DVD.